1. Our families may not be thinking of marrying us off any time soon… But some far-away relative probably is! And every family function is just another occasion for these ‘door ke rishtedaar’ to raise concerns about our marriage - and remind everyone that we should get married soon! Also read: 9 Things That Happen On Every Family WhatsApp Group!! 2. Wedding planning is our nation’s favourite pass time! It’s like everyone who is already married keeps trying to get everybody else married. What better excuse to have an all expenses paid, week-long celebration, right?! 3. Social media does a fantastic job of feeding our wedding obsession even further! Haven’t you noticed the rise in the number of pre-wedding shoots, wedding videos and exotic honeymoon selfies? We want a wedding too - if only for those beautiful pictures! :P Also read: What Your Married Friends AREN’T Telling You About Marriage! 4. Happy endings in Bollywood have historically concluded in a wedding! And when the authority on romance passes a judgement like that, wouldn’t our subconscious register? 5. Even professional workplaces ask if marriage figures in our five-year plans! ‘Coz if being married grants you the privilege of coming across as someone who’s more responsible, being single tells them you don’t have familial commitments on your time. But somehow, none of this ever affects the man - because married or not, he’s gotta earn the bread! 6. 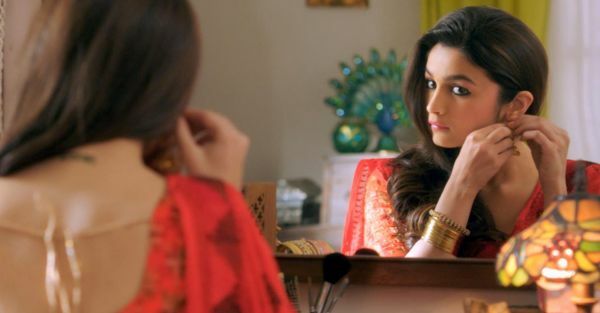 “Betiyaan paraya dhan hoti hain”… And other cliches we’ve grown up hearing! Cliches may or may not hold a certain degree of truth in them - but when they’re fed to you as a kid, you tend to grow up believing in them. 7. The only way our boyfriends can prove to us (or the world) that they love us, is by proposing to us for marriage. And by constantly referring to and discussing a possible marriage even while being in a relationship with us. Otherwise, obviously, it’s not true love. Also read: When Is A Guy *Most* Likely To Propose Marriage?! And any woman who opts to live only one of these lives comfortably, just does not make the hero cut, does she? 9. Divorce is still a taboo. 10. The moment you turn 23, suddenly everybody around you starts getting married too! 11. Marriage falls into a prescribed life plan - how can you skip it? Go to school, get into a college, find yourself a job, get married, have kids, save money for their education, get them married…and live a complete life. That’s the pattern we’ve been asked to follow. No wonder we can’t stop thinking if it is the next inevitable step that we must take in our lives. Also read: 11 Things No One Tells You About The First Year Of Marriage GIFs: Tumblr HAVE A STORY IDEA FOR POPxo? If you want to hear about it, we can write about it! Just tell us your idea here!